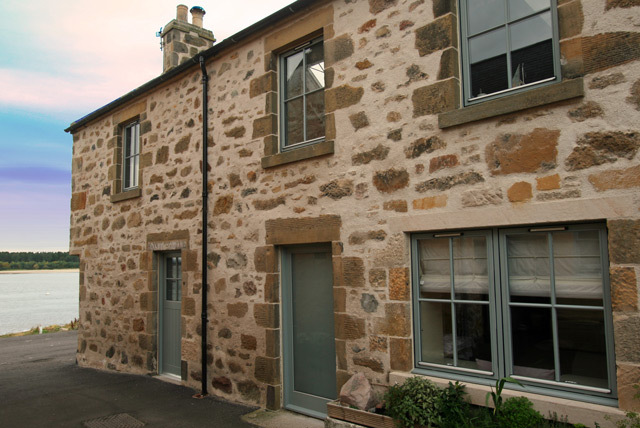 Kimberley House is situated in the heart of the picturesque village of Findhorn and enjoys panoramic views across Findhorn Bay. The village has a good range of facilities for the visitor including a shop, post office, bakery and a couple of village pubs, one of which is ideally located next door to the property. 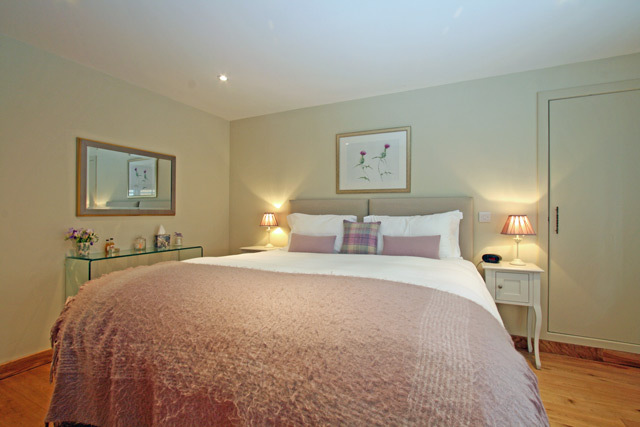 The property makes an ideal base for exploring Morayshire and the surrounding areas such as Speyside, however with so much to do on your doorstep you might just want to relax and enjoy what the village itself has to offer. 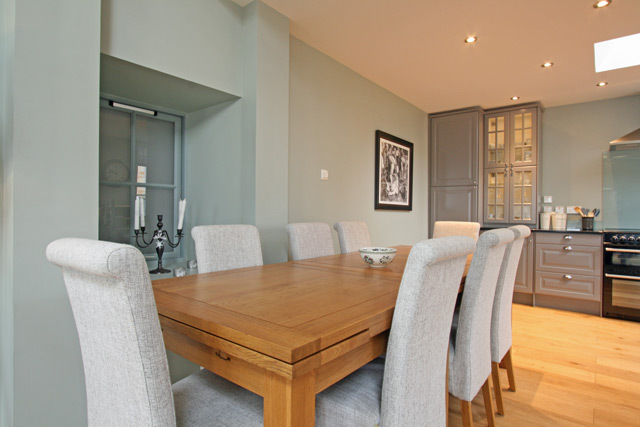 Recently renovated Kimberley House is tastefully and stylishly furnished and is quite unique in design with the upper floor accommodating the main living area and the ground floor the bedrooms. 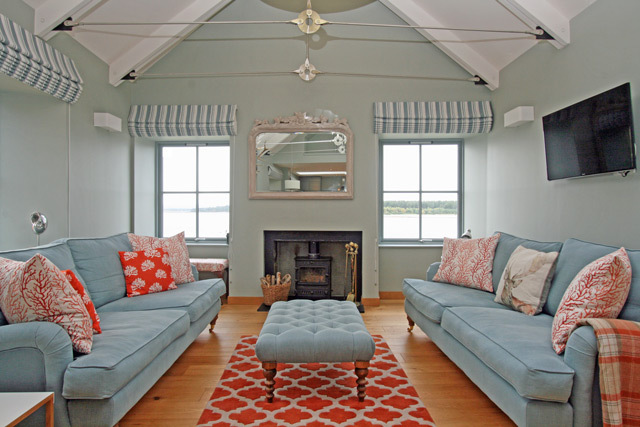 The upper level certainly has the wow factor with a vaulted ceiling with exposed beams, oak flooring, a beautiful kitchen and large picture windows ideally positioned to enjoy the views to the bay below. 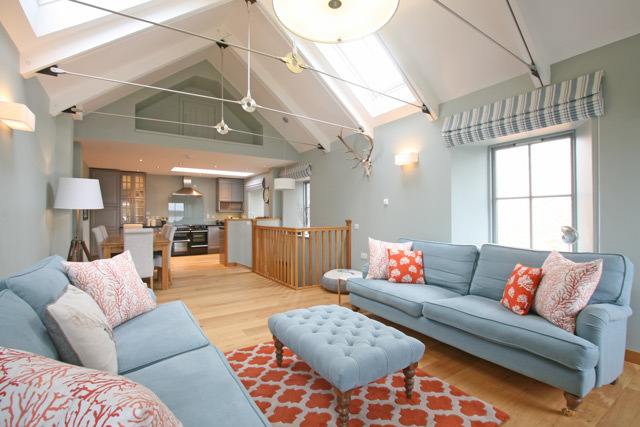 This room is light and airy with under-floor heating fitted throughout and a wood burner for those colder winter nights. 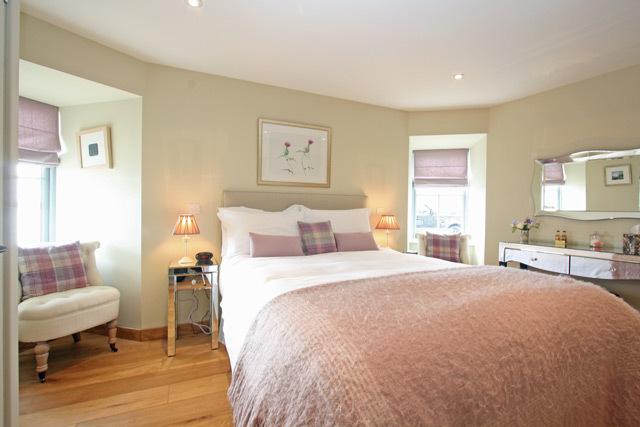 On the ground floor the two bedrooms are beautifully presented with king size beds, quality bed linens and luxury towels and toiletries, one of the bedrooms can be made up as a twin if required. 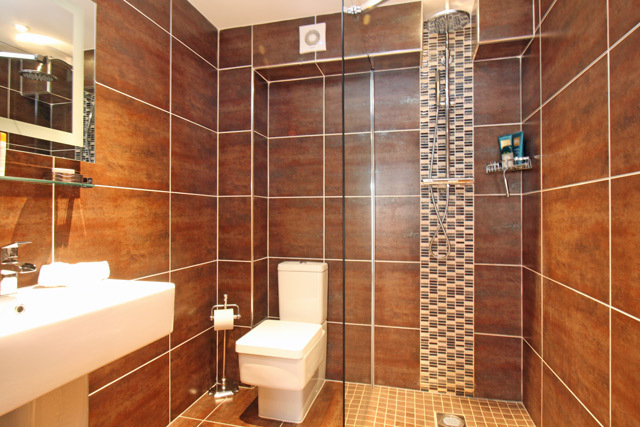 Both have en-suites, one with a roll top bath and the other a full wet room with a walk in shower. 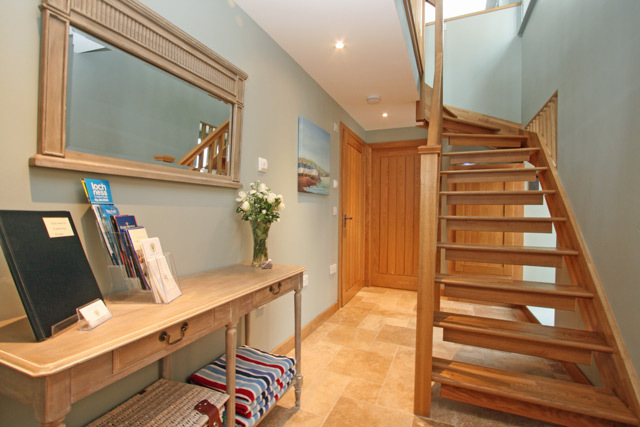 The hall features a beautiful staircase to the upper level and direct access to the side of the property. Due to various factors relating to safety at this property, children under ten years of age are not allowed, babies welcome. At the time of booking please insert the ages of your children in the comments box on the booking form. 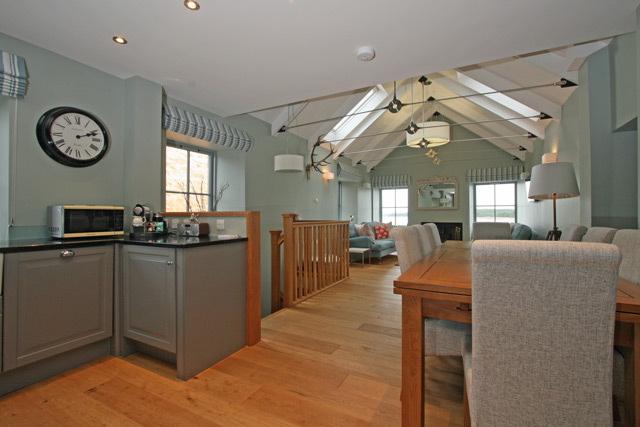 Large open plan lounge/kitchen/dining area, with views to Findhorn Bay. 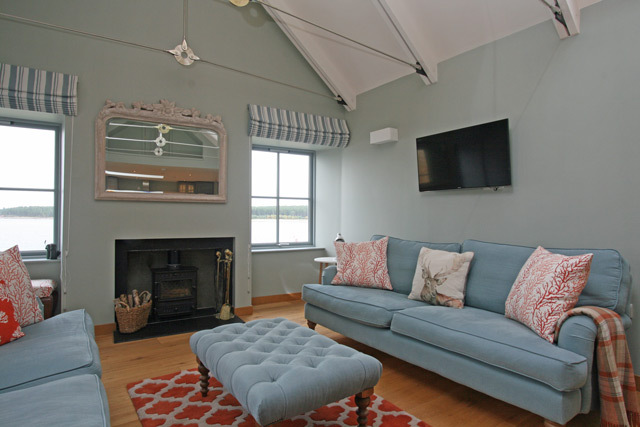 Lounge, comfortable sofas, wood burner, Digital TV with freeview channels, radio, dining area with table and seating for six. Fitted kitchen, electric hob, oven and grill, fridge, freezer, dishwasher, washer/dryer, and all the usual kitchen equipment. 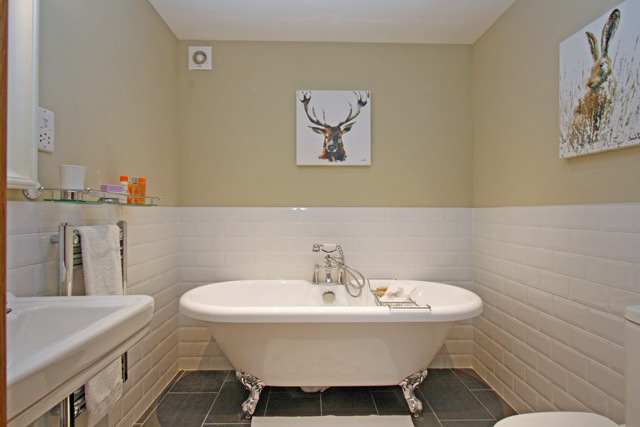 Bedroom with king size bed, en-suite bathroom, roll top bath, wc, whb, heated towel rail. 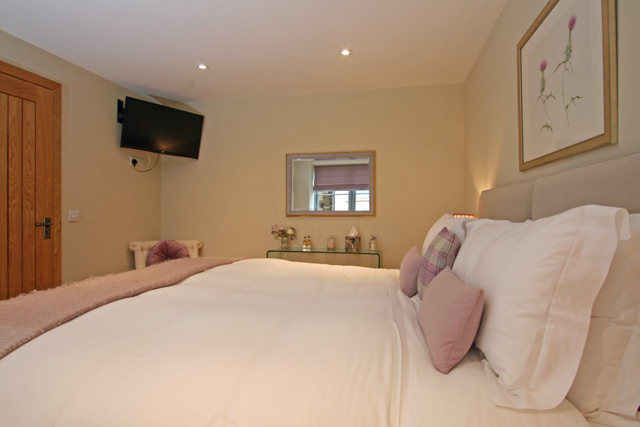 Bedroom with king size bed (can be made up as a twin if required), en-suite wet room, shower, wc, whb, heated towel rail. 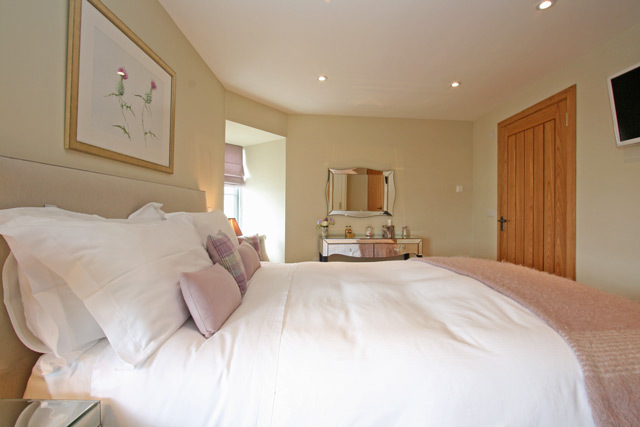 All bed linen and luxury towels and toiletries. Electricity and under floor heating. 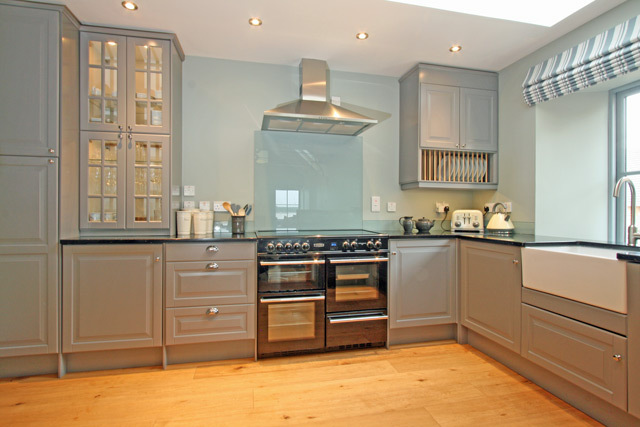 Perfectly situated with village amenities close to hand. 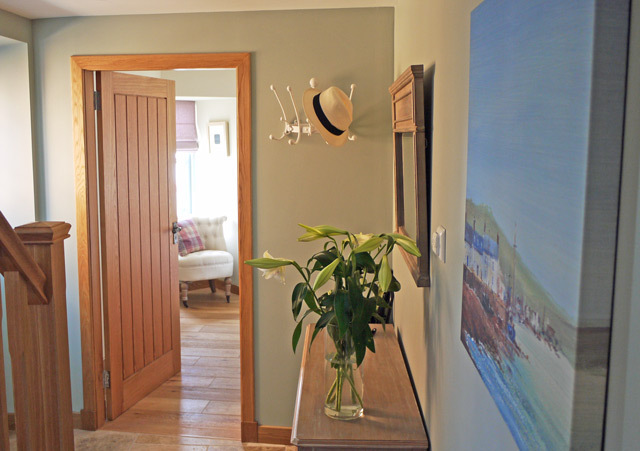 An ideal base for exploring the Moray coast line and local beaches.